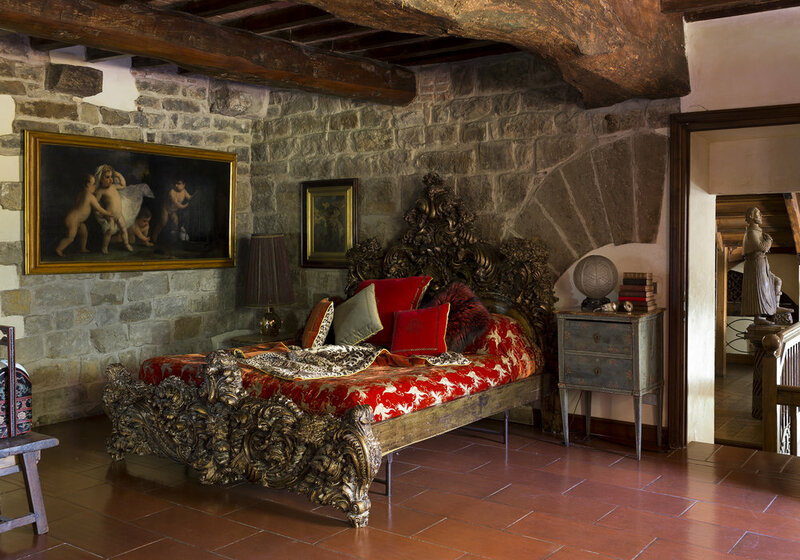 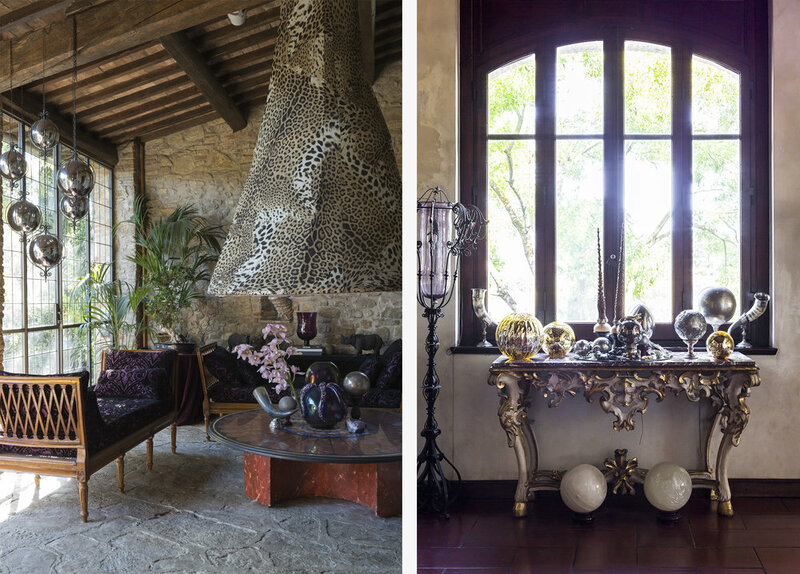 In the hills above Florence, Roberto Cavalli has created a characterful home from a 15th-century tower. 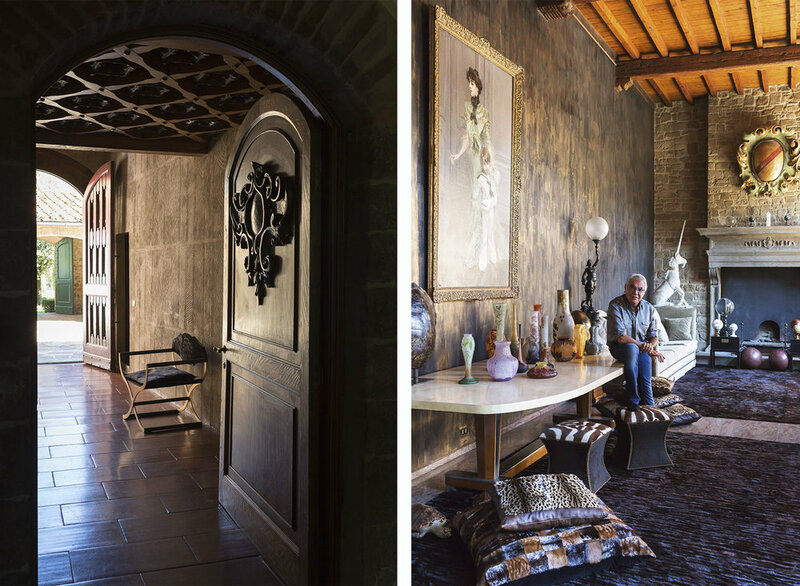 I travelled with journalist and Art Director Vinny Lee to Tuscany, Italy to shoot Cavalli’s home for a feature in The Saturday Times Magazine. 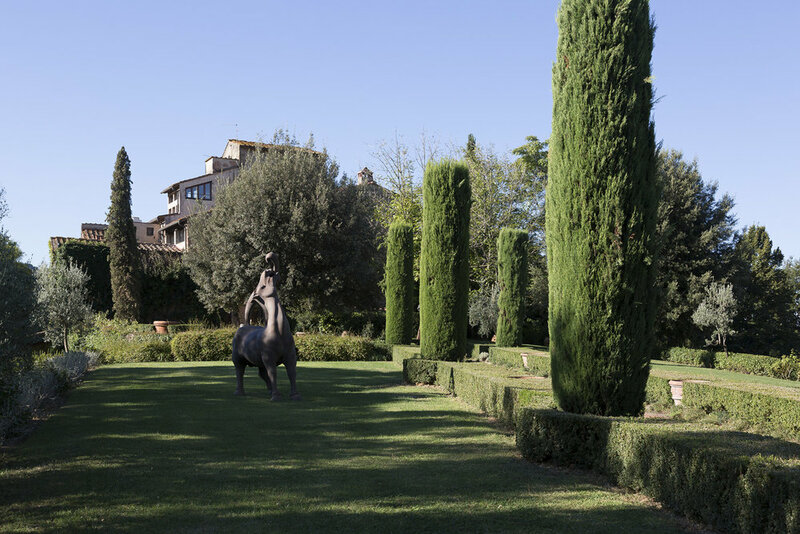 With a museum's worth of fine art, from Renaissance showpieces to contemporary paintings, Cavalli’s opulent estate also hosts a menagerie of birds, dogs, and tropical fish.